Maharaja Fateh Singh Museum is a museum housed within the Maharaja’s palace (the Lukshmi Villas Palace) in Vadodara, India. The Fatehsinhrao museum, which was established in 1961, is located in the Palace grounds. The building was constructed as a school for the Maharaja’s children. Today a large number of works of art belonging to the Royal family are displayed in the museum. The museum contains works of art collected by Maharaja Sir Sayajirao Gaekwad III during his numerous trips out of India. The major works of art in this museum are the paintings by European and Indian artists including a collection of the paintings of Raja Ravi Varma, who was specially commissioned by the then Maharaja of Baroda. The collection includes portraits of the Royal family in addition to the paintings based on Hindu mythology for which Raja Ravi Varma was famous. There is a collection of sculptures in marble and bronze. These include copies of great masters in bronze commissioned by the Maharaja and also originals by renowned artists. One of the artists commissioned by the Maharaja was an Italian artist Fellicci whose works adorn not only the Museum but also the Lukshmi Villas Palace. Some of Fellici’s works can be seen on the Public Park ( Sayaji Garden also known as Kamati Baug by the locals). The museum has an oriental gallery which houses Japanese and Chinese sculptures and other works collected by the Maharaja on his visits to these countries. The Museum is especially noted for works by European Renaissance artists like Raphael, Titian, Murillo and Rembrandt, and an outstanding Collection of the Portraiture of Raja Ravi Verma, a 19th century portraitist. Another interesting section houses Chinese and Japanese porcelain artefacts, while two rooms on the ground floor are treasure troves of the Roccoco period in art. 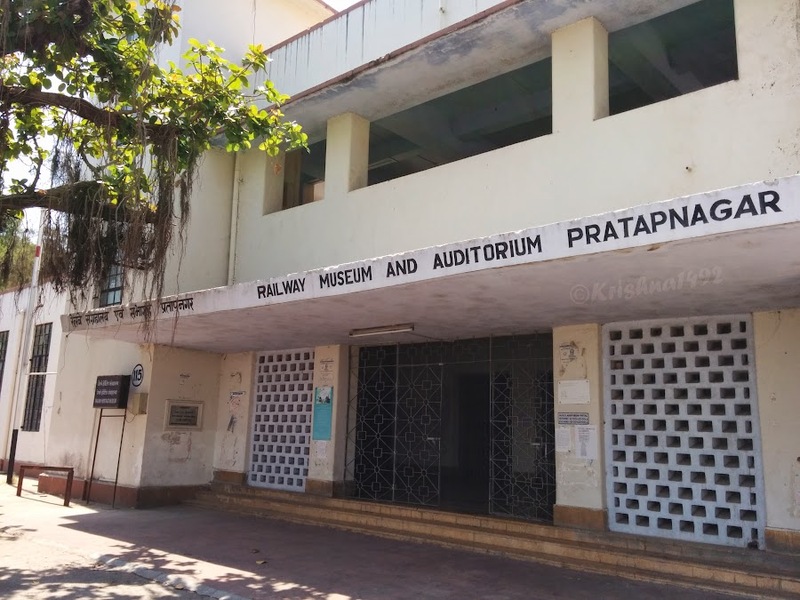 The fully functional Toy Train that the prince Ranjitsinh Gaekwad received on his fifth birthday from his father Pratapsinhrao Gaekwad, can now be found in the Fatehsinhrao Museum. Note: Photography is NOT allowed inside the Museum. One and only word come into my mind for this museum… "Awesome". This museum is having many kind of historical, natural, archaeological, biological things to display. A whole day spent here can make it splendid. Every one visiting vadodara, must visit it. This place is Awesome n Marvelous !!! It makes curiosity of the person to know the history of the BARODA!!!! !